The most popular satellite TV provider in America – DIRECTV Satellite TV offers a wide choice of plans. Prices start at just $35 per month. Plus you get valuable discounts when you sign up online. Over the last decade, home-entertainment options for Americans have drastically increased. Not only have streaming services made it incredibly easy for people to watch a wide range of television shows and movies, they have made it possible for them to do so on the cheap. It is harder than ever for pay-TV companies like Comcast and Verizon to maintain and grow their subscription base. With cost being a major concern for many of us, it’s clear that the high monthly fees most pay-TV companies are charging will drive people away. However, not all pay-TV services are expensive. DIRECTV offers affordable pricing. And they come with many of the premium features often found only in much pricier plans. What DIRECTV Special Deals Are Available? Sign up for DIRECTV Select with 155+ channels for only $35/mo for 12 months and get $100 in AT&T Visa® Reward Cards when ordered online. Setup fee (regular $19.95) is waived! Or Bundle DIRECTV with AT&T High Speed Internet for only $75/mo and get $250 in AT&T Visa® Reward Cards. Get both essential services on one low monthly bill. 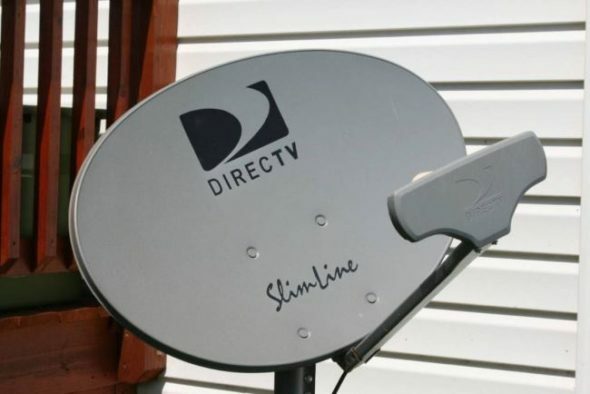 What Is DIRECTV Satellite TV? 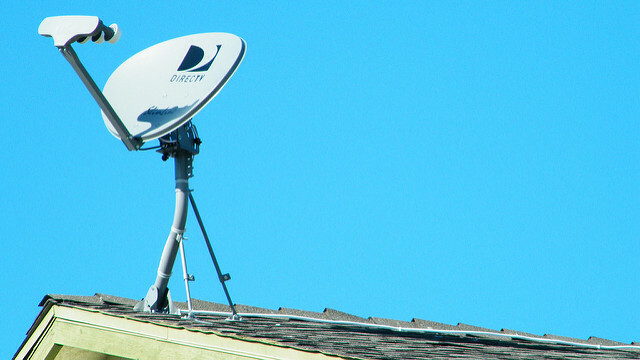 Similar to most other other pay-TV providers, Direct TV gives subscribers access to a wide variety of standard and high-definition channels, but it does so via direct-broadcast satellite (DBS) technology. When compared to other cable- and satellite-television providers, DIRECTV is typically a better value, with full-featured plans starting as low as $35 per month. Unlike most cable companies, DIRECTV does not provide phone or Internet service. However, DIRECTV partners with AT&T to offer bundled packages that include phone and high speed internet. For the most part, the only differences between the plans listed below are the number of channels offered and the prices. Streaming services and DIRECTV’s Genie HD DVR can be used with all plans. Note that in some cases that pricing and availability may vary based on your service area. Companies like DIRECTV occasionally like to test out new pricing structures in different markets, so confirm your pricing and availability by visiting the DIRECTV sign up page and entering your zip code. Entry level TV streaming plan. Stream 60+ channels for only $35 per month. Learn more about DIRECTV NOW. This is DIRECTV’s second cheapest, and in my opinion best option at $35 per month. The SELECT package has over 155 channels. Coming in at $40 per month, the ENTERTAINMENT package comes with 160+ channels. For $45 per month, customers get the CHOICE package, which comes with 185+ channels and the 2019 season of NFL Sunday Ticket. With over 235 channels, the XTRA package is DIRECTV’s most popular option. It’s only $55 per month. Described as the movie-lovers package, ULTIMATE costs $60 per month and comes with 250+ channels. The PREMIER package is easily the most expensive option at $110 per month. But it’s also the most complete. It has more than 330+ channels, and over 200 of them are in full HD. In addition to the base plans described above, DIRECTV Satellite TV offers a wide variety of add-on packages. For instance, customers can elect to subscribe to premium networks, like HBO, for an additional monthly fee. If you act today, however, you can secure three free months of HBO, STARZ, SHOWTIME, and Cinemax. If you elect to sign up for the CHOICE ($60/mo) package or above, you’ll get the 2019 season of NFL Sunday Ticket included for free as well. International packages, including Spanish, Filipino, and Vietnamese packages, are also available. Does DIRECTV Still Offer A Family Package? Technically, yes. There is a DIRECTV Family Package that costs only $29.99 per month and includes over 50 channels. However, it is probably NOT actually the best option for most families. That’s because for an additional $5 per month, you can get DIRECTV Select All Included, which includes over 155(!) channels. That’s 100 extra channels, for only 5 bucks per month. In the end, it’s up to you to decide which DTV package is best for your household. To see a list of all 50+ channels included with the Family Package, visit this page. No matter which plan you subscribe to, you will gain access to more than 100 live channels on your phone, tablet, and computer. There are also thousands of titles available On Demand. You can even access these when you’re away from home. DIRECTV’s HD DVR system is known as Genie. It can be used to record up to five shows at the same time and it can store up to 200 hours of HD content. When combined with Genie Minis, which are basically receivers for the DVR, users have wireless access to their HD DVR from any TV in range. Other interesting features, like the ability to watch two shows at once on a single television, are nice to have as well… but the average person probably won’t use them much. Unless you pay close attention when signing up for pay-TV service, there’s a good chance that you’re going to be hit by at least a few unexpected fees. This can be true with DIRECTV as well. The package prices listed are good for 12 months, but all DIRECTV offers require a 24-month agreement. So you can expect your monthly bill to increase once the first year of your plan is up. Also, don’t sign up for a 24-month plan with the intention of cancelling once your monthly fee goes up. DIRECTV charges a $15 deactivation fee for early cancellations plus a prorated early cancellation fee of up to $20 per month. Want to find out if DIRECTV is available in your home? Click the link below, choose your service bundle, and enter your address on the following screen. Bundling all three broadband services on one bill is the most convenient option. But that’s only possible if it’s available in your service area. Click here to sign up on the DIRECTV website. You will get today’s BEST pricing and we will get a small commission at no cost to you. The fine print will get you every time. Year two the cost/mo will double but “subject to change” as in triple if you’re not paying attention. Also have to be auto charged each month with your credit card that’s on file so you have more of a hassle disputing charges until you finally pull the plug and they still have your card to add some departing charges on you for anything they can think of. They were trying to charge me for not returning the dish that is still mounted on my roof. Sent receivers back but told them to come get their dish if they wanted it back. DTV and Dish are equally disgusting. have direct at this time. Price is getting out of sight. Tried talking to a representative. Got nowhere there. After a half hour it was suggested I switch to the choice package and I could save some money. I asked to have the listing of choice channels e mailed to me. Well I cannot gert them because I have no ATT account number. I do have a direct number. I called back and was told to go to Direct TV. com and I would get the listings. I tried for a long time to no avail. Finally retried this afternoon got on website as you can see, but all I see is prices for new customers. Apparently loyal customers who pay on time no longer mean anything. You can be sure I will be investigating alternatives. My prices skyrocketed also so I called Dish and they gave me a great deal. They have changed for the better. If anyone wants my direct tv dish it’s on the side of my house. Prices, Packages & Deals in 2018 <Loved it! Wow! The packages shown above are great. I bought Directv Around 8 months back and got a really great deal. I like the HD quality and seriously they are providing a lot of HD channels as compared to others. I loved It.